The discovery of about 200 dead adult steelhead trout in the tailrace beneath the 402-MW Dworshak hydropower plant has led to an investigation by the U.S. Army Corps of Engineers. The Corps said it is still examining potential causes, but that its initial examination "points to steelhead injuries associated with non-routine upgrades of the dam's turbine unit 2, specifically new digital governor commissioning." An assessment from the U.S. Fish and Wildlife Service staff at Dworshak Fish Hatchery shows the mortalities were likely caused by contact with structural features within the turbine. The Corps said it will now continue coordinating with federal and state agencies, regional fish mangers and Native American groups. 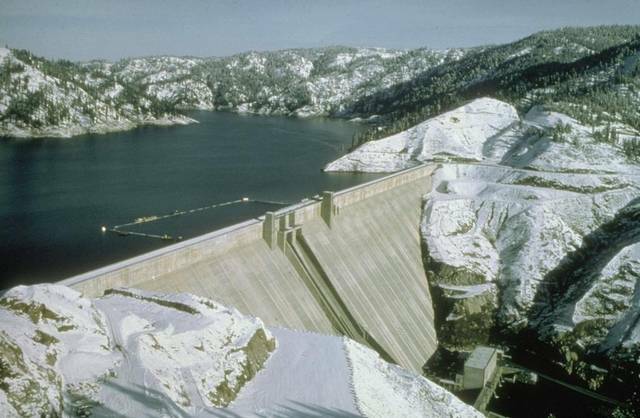 Dworshak Dam was the site of another significant fish kill in 2010, when more than 1,000 steelhead were trapped in a draft tube during routine dewatering for maintenance. Located on the North Fork Clearwater River in Idaho, Dworshak is part of the Corps' Walla Walla District. The plant has undergone a number of upgrades in past years, also including work on its Unit 3, upgrades to the facility's HVAC system, and replacement circuit breakers and capacitors.